Spectacular waterfront! 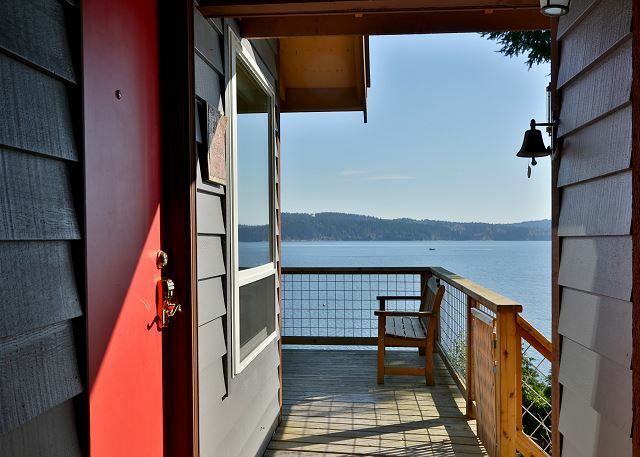 This 3 bedroom, 3 bath house, is lined with windows facing the tranquil waters of Holmes Harbor, South Whidbey Island. 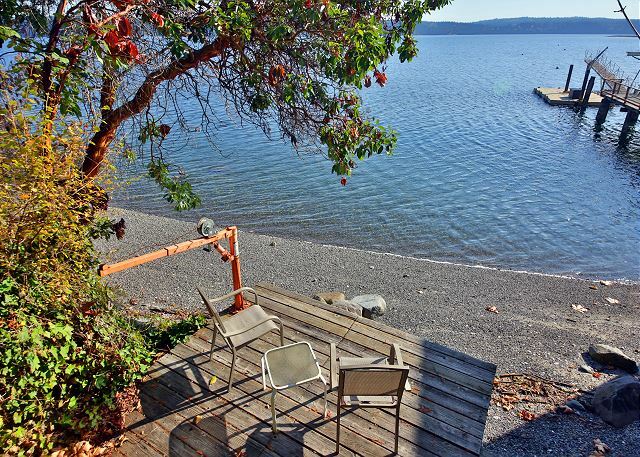 Stairs to small deck and rocky beach. 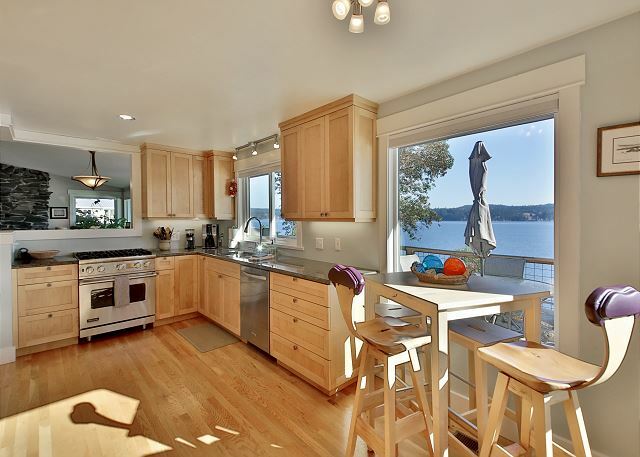 Gourmet kitchen and great deck! 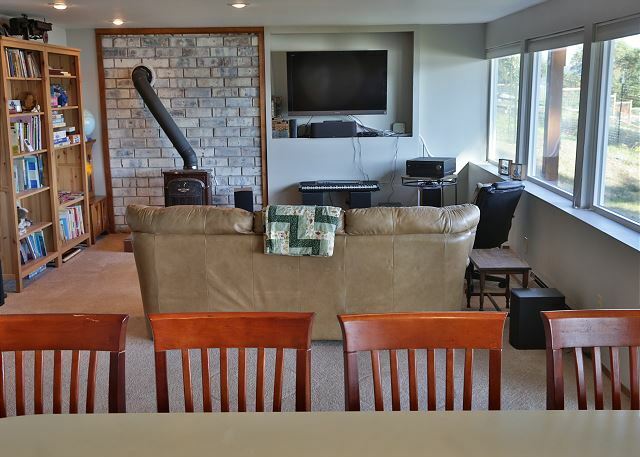 Medium bank waterfront property; great room and gourmet kitchen overlooking Holmes Harbor. Perfect for up to 6 guests. 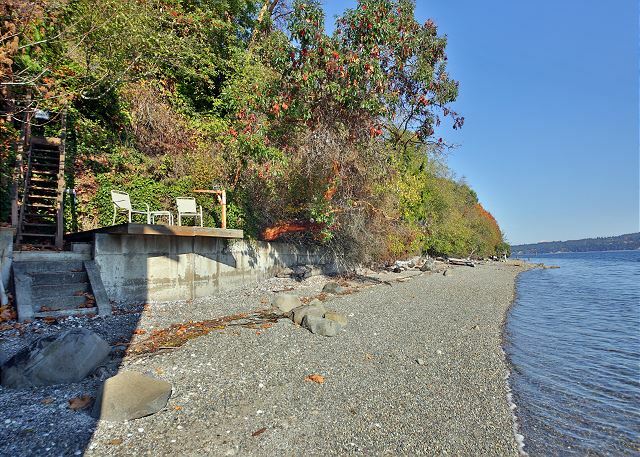 There is a private stairway leading to a small sitting deck at waters edge and nice private pebble beach for walking. Gas barbecue is on the main deck overlooking the water. Paved driveway with covered parking and private entry. There are no boats available for use but feel free to bring your own. Please use proper shore side etiquette in this fragile environment. Beautiful and relaxing waterfront home! We had a wonderful and relaxing stay. 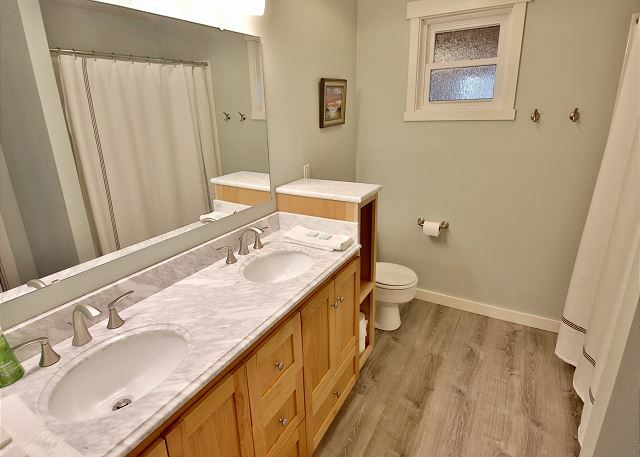 The house has a great layout for a family and the kitchen has everything you need. The location has a remarkable view and great weather. We loved the beach too. Thank you for your comments. 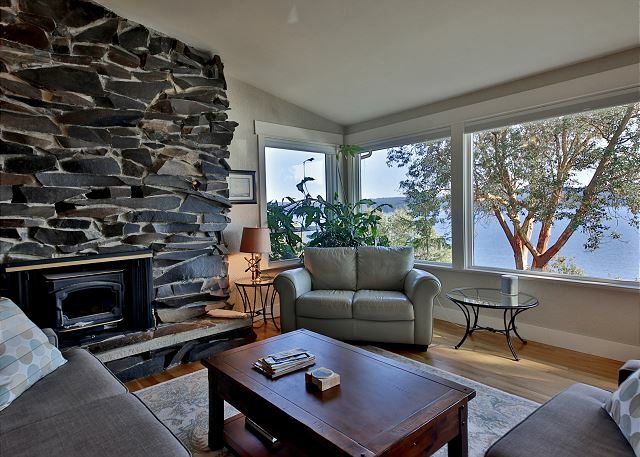 We are happy you had such a lovely, enjoyable stay on Whidbey Island. We hope we can help you with your next stay on the Island. This home was perfect for three couples and dogs. 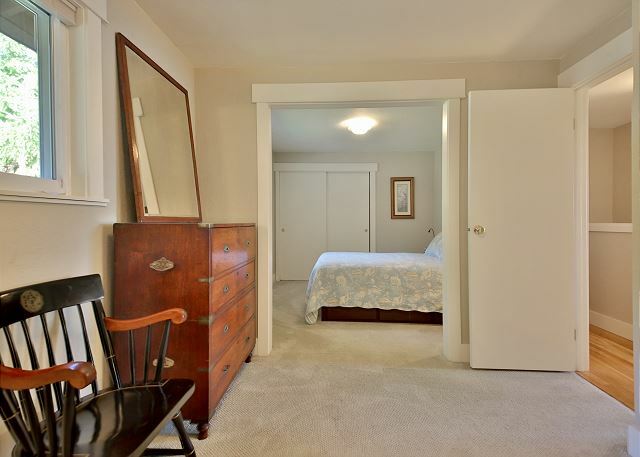 The home was very clean and there was plenty of closet and storage space. 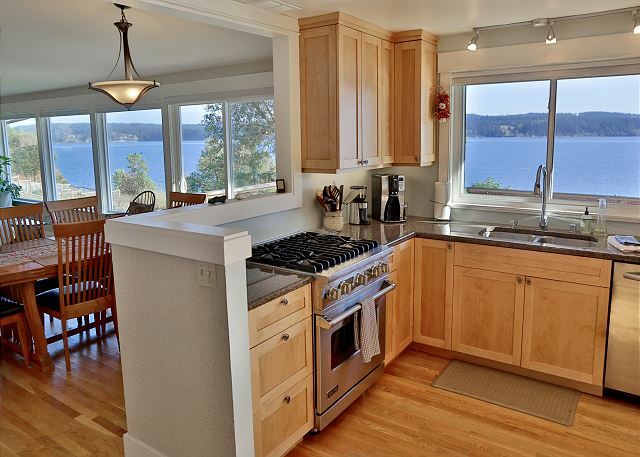 The kitchen is big enough for 2-3 cooks and is well stocked with tools needed. The beds were comfortable. The view is great. The area is quiet. I would have liked a washer and dryer for towels, but the agency provided us with clean towels when we asked and they responded quickly. I would recommend this home, it was perfect for our family. 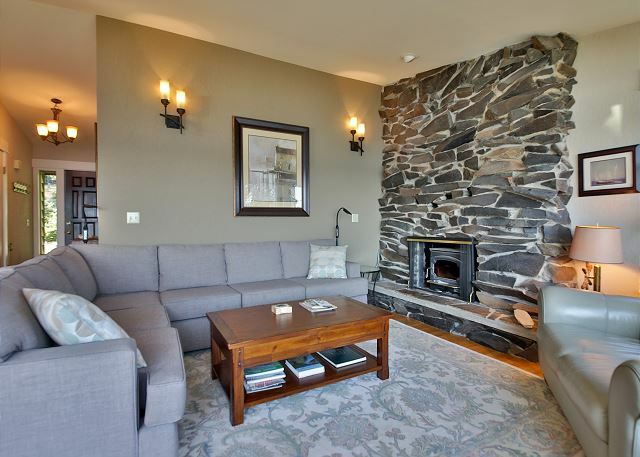 We are so happy you enjoyed your stay here on Whidbey. The weather was the best!! Please let us know if we can help you with your next stay on the Island! 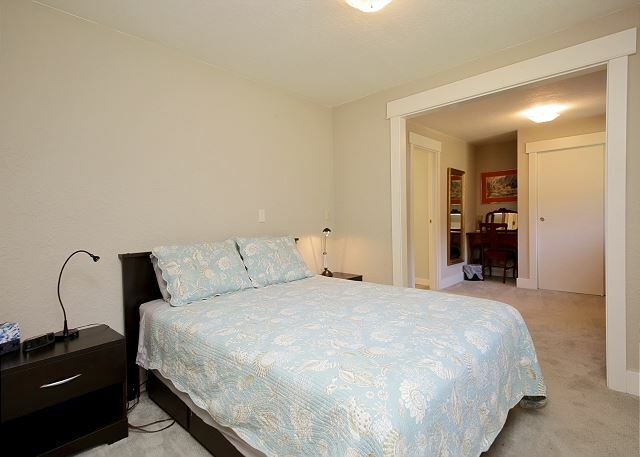 The property is in good shape, as described, and in a very relaxing setting. I didn't go down to the beach, but my three-years-old went down with nana and they had fun throwing rocks. 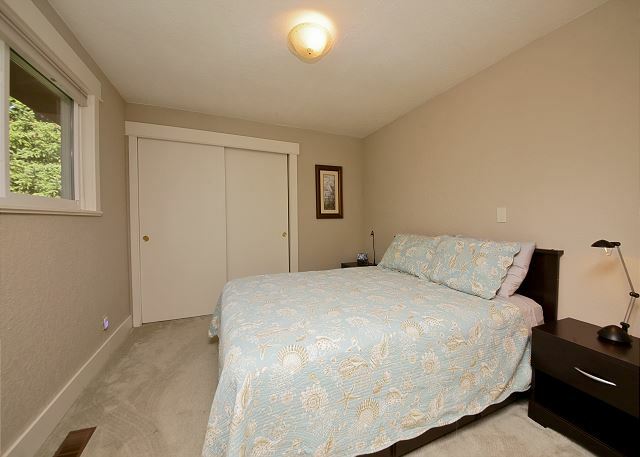 The property management company was easy to deal with and professional. There's no problem at all. Thank you so much for your review. 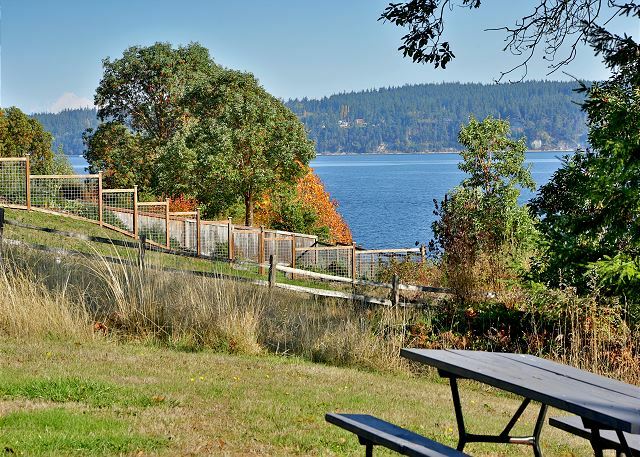 We're glad to hear you enjoyed your time on Whidbey Island and that the 3 yr old got to have some Nana time. Our visit was relaxing overall. There was a bit of trouble with a power outage in the local area, but that was entirely the fault of the weather and not due to any aspect of the property. The rental was very clean and comfortable to stay in. The kitchen was great! It had quality appliances and cookware that wasn't the usual cheap cookware that so many rentals have. The view was amazing and the local area is lovely. The only minor thing that didn't work for us was that the stairs to the beach are steep and narrow. I had no trouble with them, but my friend who is anxious about heights couldn't make it down. I think the stairs were perfectly safe, but just not for those that are particularly nervous about such things. Thank you for your comments. 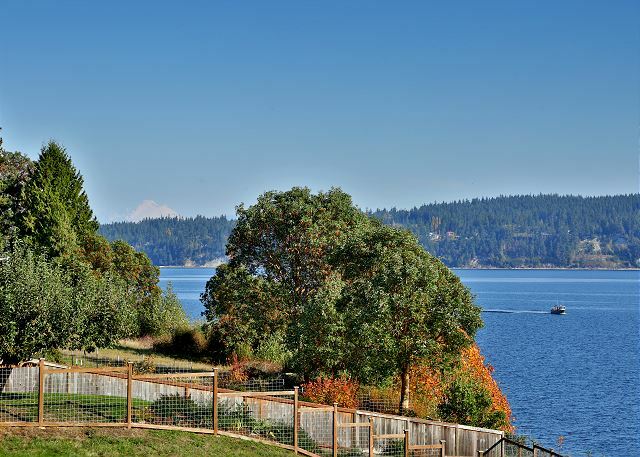 Sorry you had to endure one of our Whidbey Island power outages, but they do add a little excitement to your stay. We hope to help you with your next stay on the Island. We spent the Thanksgiving weekend with several family members. Place was spotless. Kitchen was well stocked with quality cookware and appliances made creating a feast a real pleasure. Lots of room with a great view and some privacy. Birding was good on the bay and we even got a colorful sunrise over the Cascades one morning! We'd come back in a heartbeat. Thank you for your comments. 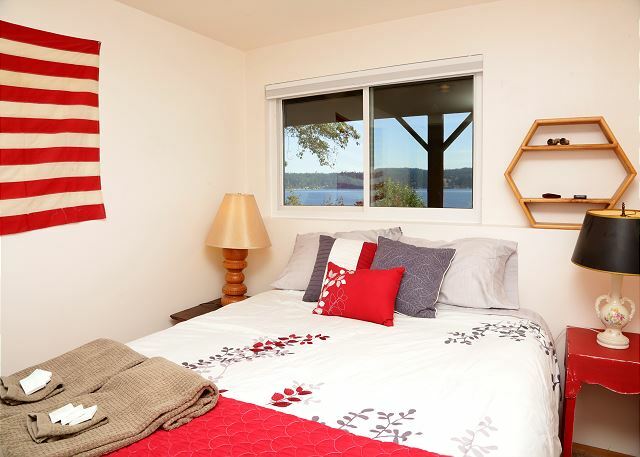 We are happy That your stay on Whidbey Island, with your famiy, was so enjoyable. We hope to help you with your next stay on the Island! 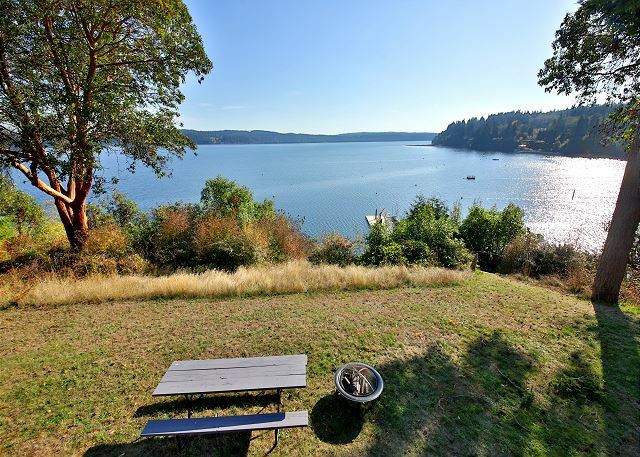 The house is nestled in a bay with great views and beach access about 15 minutes from double bluff park and about 15-20 minutes away from the ferry. 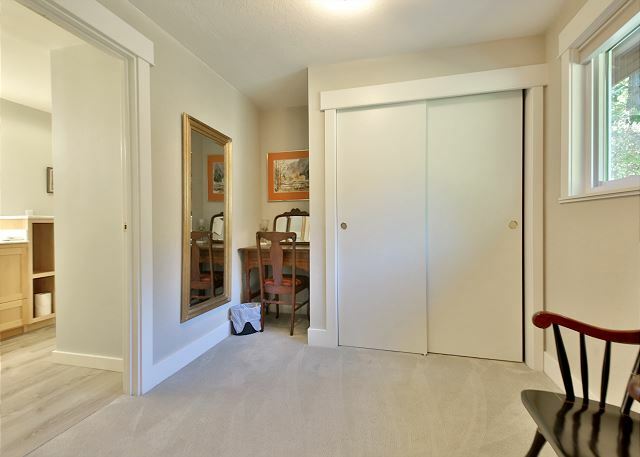 The house itself was great, mostly updated and open with a 2nd kitchen downstairs. We came with our 1.5 yr old and dog and the house was pretty kid friendly (we had to put up a gate to block off the stairs, which they have there). There are just two minor things I would change 1. there is no access to washer/drier. Even for our short stay, since we went down to the beach with the kid, it would have been nice to have thrown clothes in the washer. 2. Our dog also accompanied us to the beach and got sandy, it would have been nice to have a hose to wash her off with outside as to not drag sand through the house. All in all, it was a great house on a beautiful piece of property. Thank you for your comments. We are happy your stay was so enjoyable! 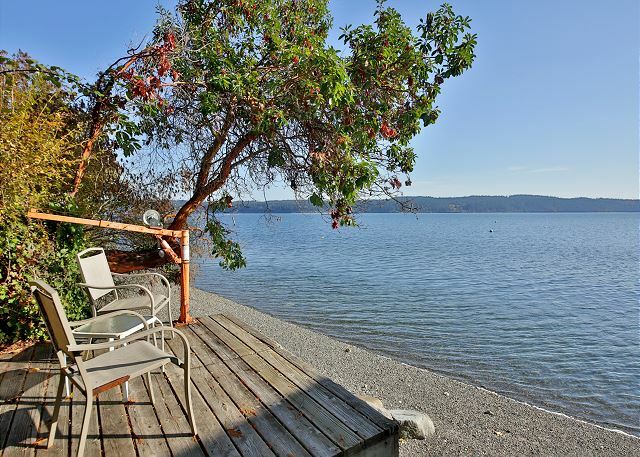 Please let us help you with your next stay on Whidbey Island.